How is it possible that some of Wall Street’s brightest people say they cannot figure out whether Herbalife and other MLMs are pyramid schemes or not? Why do so many journalists become flummoxed when delving into MLM pay plans, contracts, and “income disclosures.” And how is that millions of ordinary people lose substantial money in MLM yet many of them still proclaim hallelujahs and hosannas to the MLM system? A new essay addresses these perplexing questions. 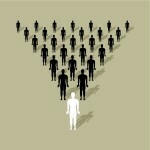 The essay explains that it is because MLM is not based on financial and economic principles. It therefore cannot be “analyzed” statistically. It cannot be compared to other types of businesses. When MLM leaders claim that critics “don’t understand our business model”, as Herbalife’s executives now argue, they are correct. But the operative word is not “understand”. Rather it is “business.” MLM is not a business in which measurable and roughly equivalent values are exchanged under market-based terms. MLM is not based on the “market” at all, as the essay explains. Rather it follows transcendent or, some would say, spiritual principles. The reason Wall Street anaylsts don’t “understand” is because they do not – yet – believe. For those who truly want to understand MLM’s strange power, read the essay, The Mysteries of MLM.